As a Southern girl there are a few (probably not many) things I have down... sundresses, cowboy boots, and the lyrics to every country song. Living in Nashville (aka Music City) I have the great privilege of seeing live music pretty much any time I want... and this time of year outdoor concerts are abundant. 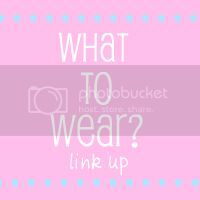 Today I am linking up with the What to Wear series over on the Tiny Heart Blog. I love dresses with cowboy boots. Such a cute look! I wear sundresses and my cowboy boots allll the time. I also wore my boots with my wedding dress. And I'm not even Southern. Go figure. :) Love your boots! You look adorable, Jessica! You're really making me wish I owned a pair of cowboy boots (most Jersey girls don't have any!). Thanks so much for linking up! The Tiny Heart JEWELIQ Giveaway! LOOOOVE 'em boots! you go girl! Love this look! Very country and sweet! sundresses are indeed essential in the summer heat! the humidity has been like 90 percent here! i love this look - the dress and cowboy boots work on you! love the southern feel it has. This look is perfect for a summer concert! I'm a Kansas girl, and I'm sad to say I don't own a pair of cowboy boots. I'm not sure why, I do love the way they look, especially with cute little sundresses like that one! Wait, wait, wait... going naked is NOT an option? Crap, guess I better delete tomorrow's blog post! ;) I love you in a sundress and boots! It's everything right and good about Southern living, unlike Honey Boo boo! Katie, you crack me up lady! Going naked was an option indoors... Until I realized our front door has a giant pane of glass... Oh hey FedEx man! Those boots are adorable and I love them paired with the sundress! Everything is so green and pretty, there too - I miss Nashville! you look ADORABLE. girl you KNOW i love this look!!! Yay another post with boots...I love it..your boots are awesome..I need a brown pair! Such a fun, cute look! I wish I had the guts to pull something like this off, but I don't. Plus, I don't own any cowboy boots. Totally love it and you ROCKED it! Love your concert outfit!!! I'm a fellow link-up member as well.. love your blog! Way to rock those Cowboy boots on the West Coast Jessica! Such a great Nashville look. Shockingly after being in Nashville for 3 years I am STILL looking for the perfect pair. I want some real leather ones aka not in my budget. Looking good though! I love the color and print of this dress - perfect for the summer and perfect for boots!! I love your cowboy boots! What an awesome outdoor summer concert look. I wish there was live music more often near me (or maybe there is and I just haven't found it yet). I hope you're having an amazing vacation in Portland! I'm a huge fan of boots and dresses-you look fantastic! Loving this link up today...it is giving me lots of great ideas! You definitely know how to pull off a pair of cowboy boots! Adorable with the sundress! Love the print and color. Thanks for joining 'Real Girl Style' this week! OH OH OH! LOVE LOVE LOVE! Love the color, LOVE the boots for a summer concert (I'm wearing boots for my summer concert too!) and just LOVE everything about this look on you. FUN!